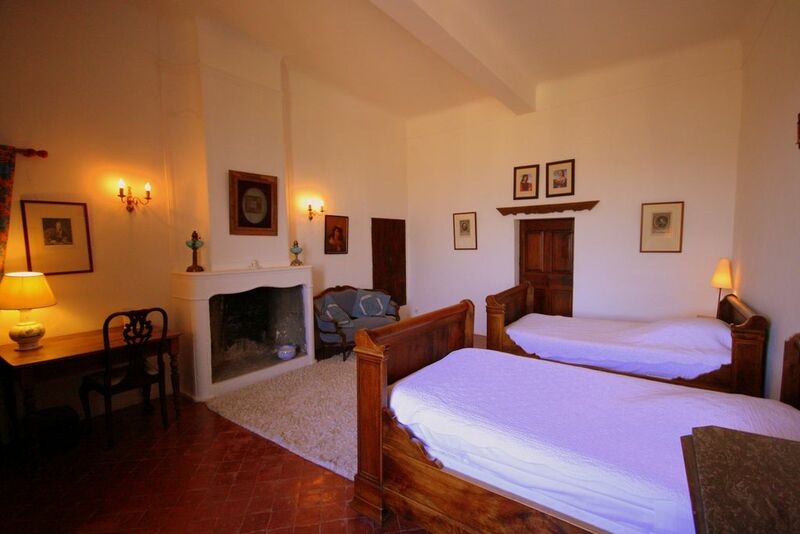 Bedrooms - Château de Goult, Gordes.Luberon, Provence. The "Chambre du Maitre" with it's en-suite bathroom. 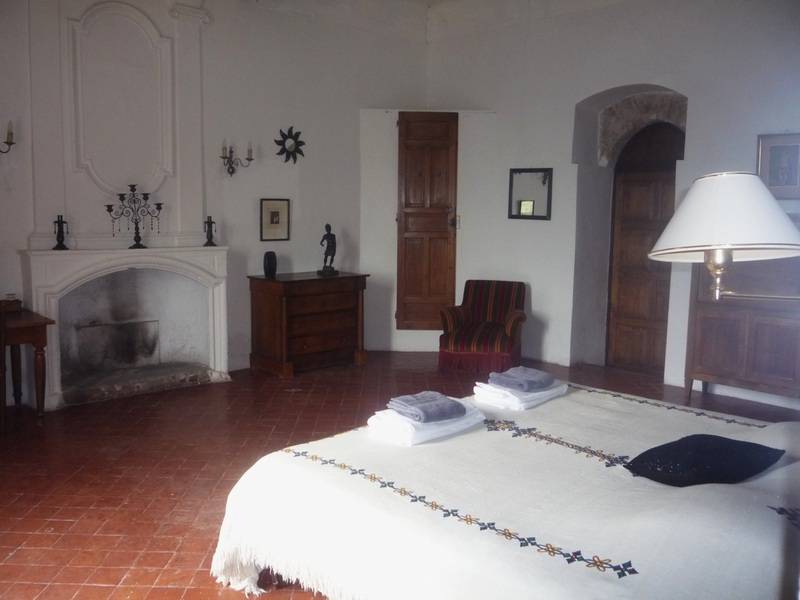 The 7 bedrooms include 2 suites with 2 separate rooms. 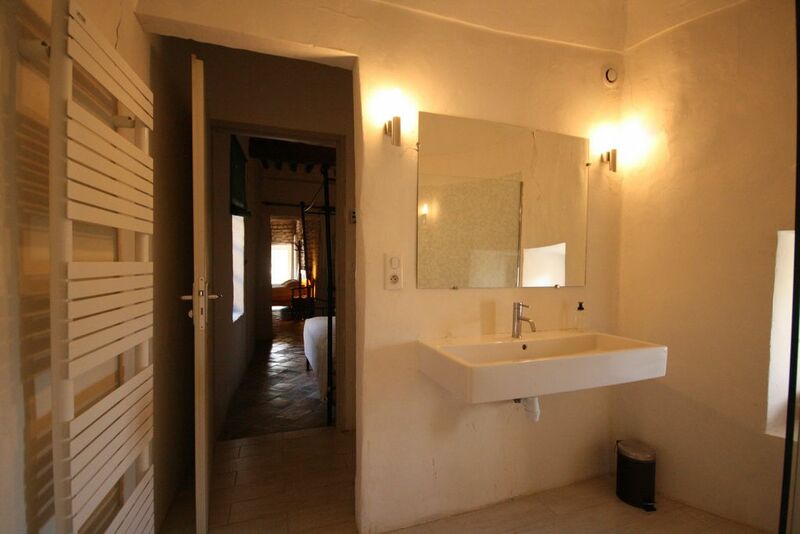 The 6 bathrooms have found their natural place with a more contemporary comfort in the castle. 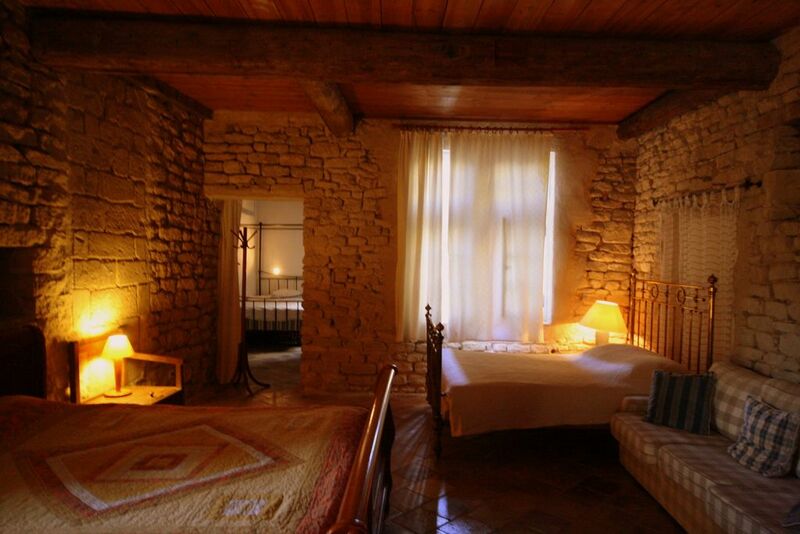 See also the adjoining Loft de la Tour for more accommodation. 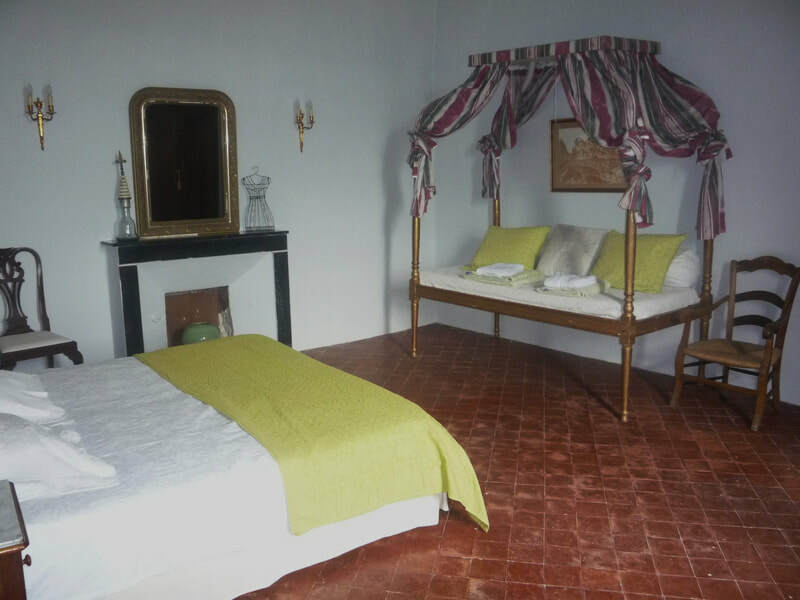 First Level : The "Chambre du Maître" with it's 18th-century 4-poster bed. "Maitre" Bathroom : The large en-suite bathroom with Bath, Shower and Toilet. 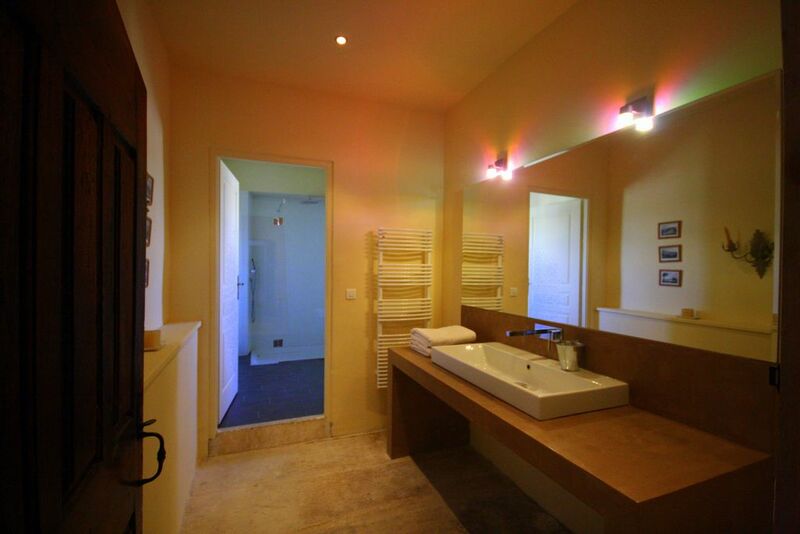 First Level : The "Chambre de la Poterne" with its balcony and en-suite bathroom (Bath and Shower). "Poterne" classic Bath which also has an en-suite bathroom (Shower and Toilet). 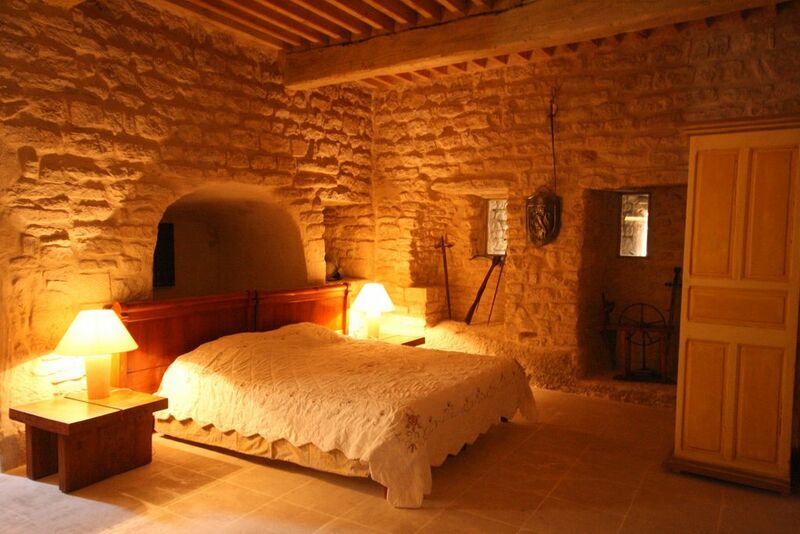 First Level : The "Chambre du Donjon" with an en-suite bathroom (Shower and Toilet). 2nd Level : The "Chambre de Léone'" with bathroom opposite bedroom's door (Shower and Toilet). 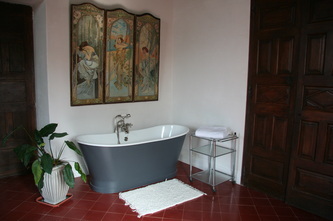 "Leone" bathroom. Facing Leone's bedroom with an independent access (Shower and Toilet). Can be shared with Agnolo's bedroom. 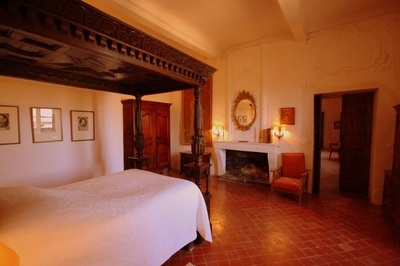 2nd Level : The "Chambre d'Agnolo", with 2 single beds (lit-bateaux). 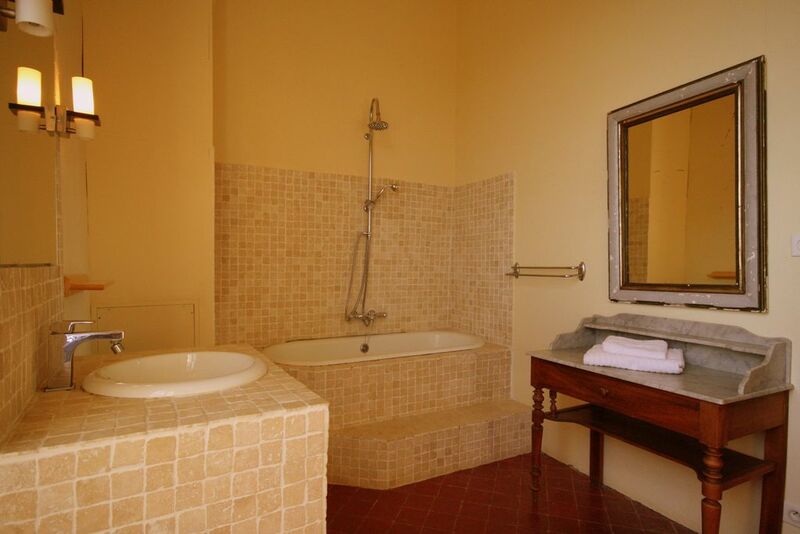 Shares bathroom with Leone's bedroom. 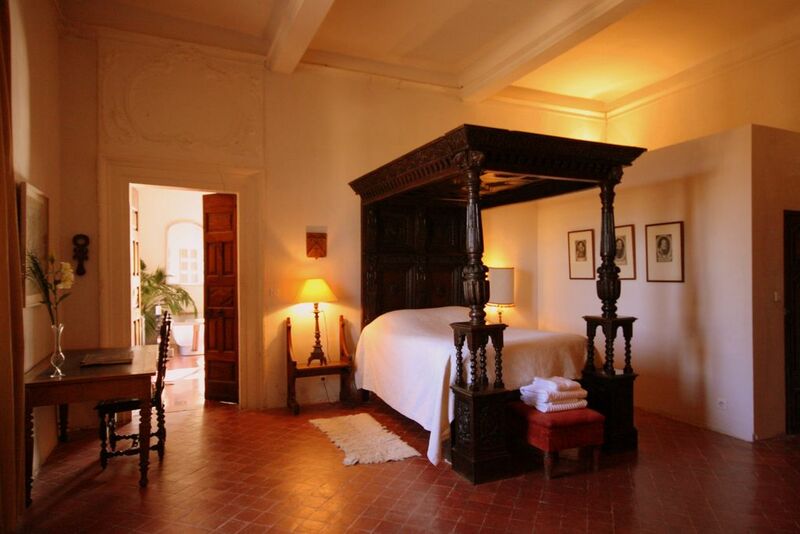 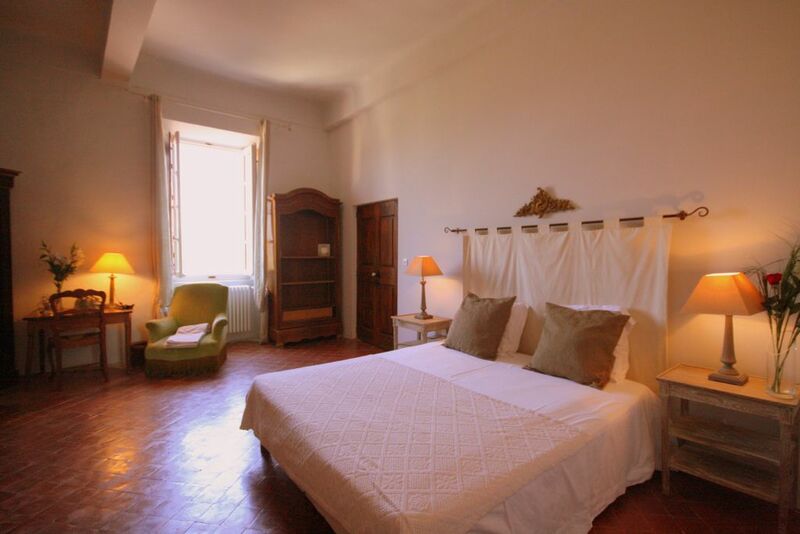 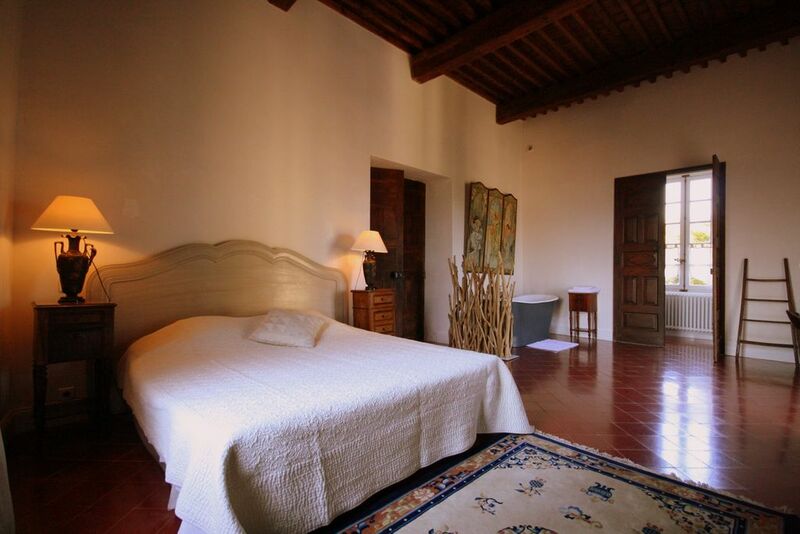 2nd Level : The "Suite de Doni" has 2 rooms with 3 beds and an en-suite bathroom (Bath and Toilet). 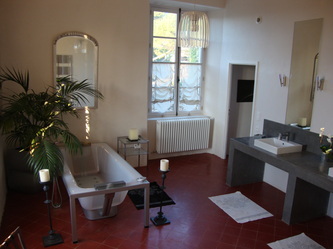 "Suite de Doni" bathroom with Bath and Toilet. 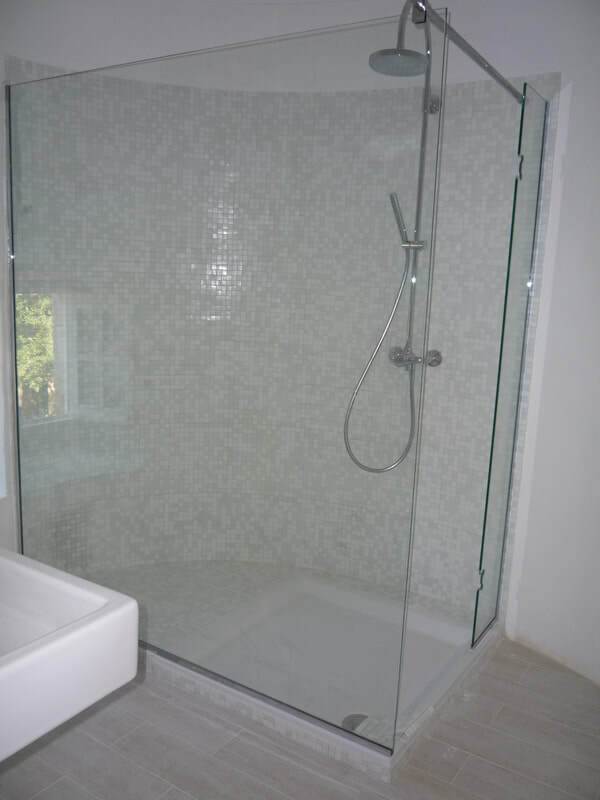 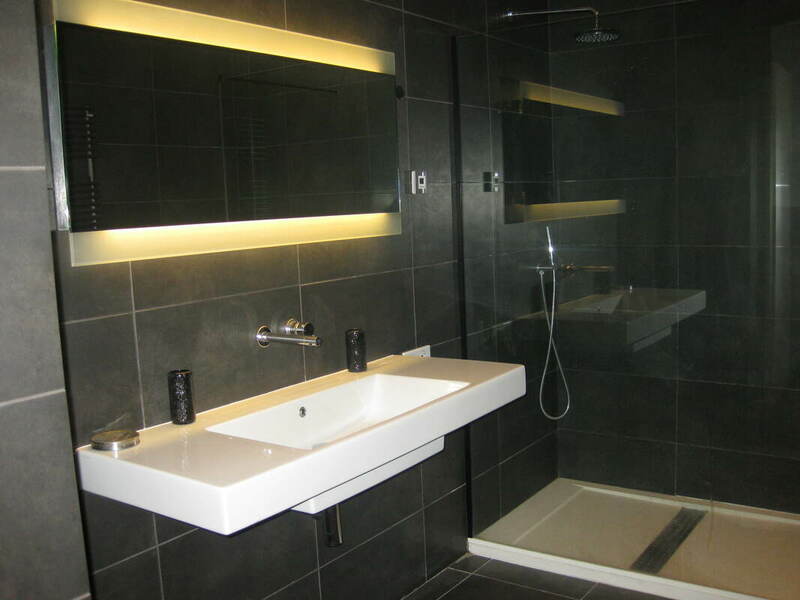 "Suite d'Agoult" bathroom with Shower and Toilet.